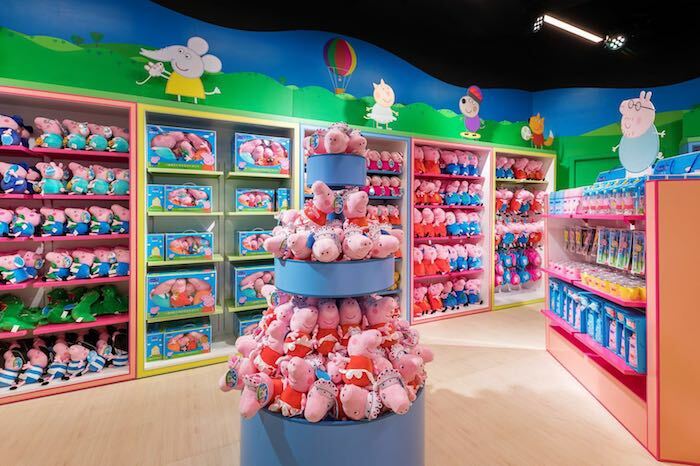 Bring on all things Peppa Pig because the adorable children’s TV show is coming to life later this year at Great Lakes Crossing in Auburn Hills, Michigan! There will be snorts of delight from fans of Peppa Pig as Merlin Entertainments plc and Entertainment One (eOne) proudly announce that Peppa Pig World of Play, a unique indoor family attraction, will bring to life eOne’s universally loved preschool television property when it opens at Michigan’s largest fully-enclosed outlet center, Great Lakes Crossing Outlets, in 2019. Peppa Pig World of Play, which will launch its first attraction in the U.S. in Dallas Fort Worth early this year, is a new indoor play center designed specifically to give preschool children an exciting opportunity to step into the magical world of Peppa Pig and have fun with their favorite little piggy in a unique setting packed full of oinktastic activities. How fun does this place look?! 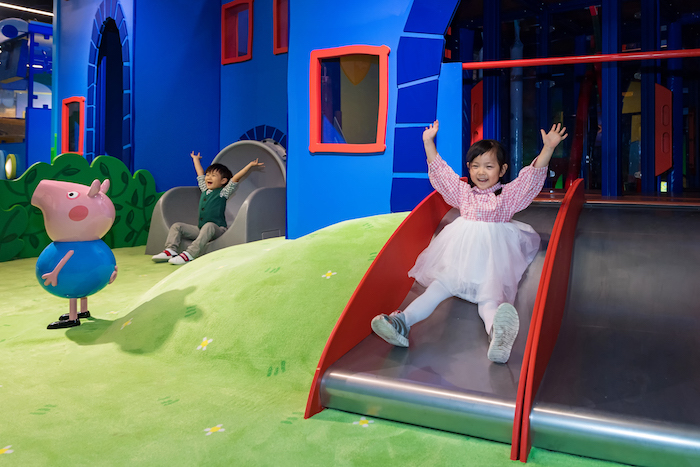 The attraction will take families on an unforgettable journey where they can join Peppa and her friends to explore and interact with instantly recognizable locations from the show in a number of colorful playscapes that have each been lovingly recreated from the hugely popular animated series. 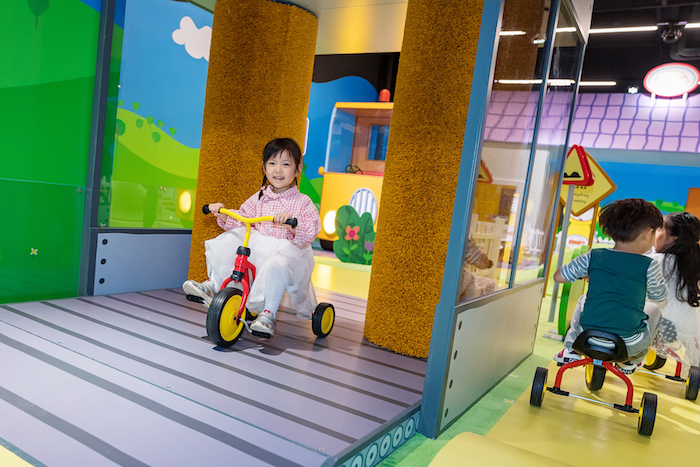 In the permanent indoor attraction, little ones will be immersed in the world of Peppa Pig as they visit ten amazing play areas that will ignite their imaginations. There will also be a theater, gift shop, facilities for families to relax and play and plenty of photo opportunities. Expect lots of snorts and giggles from everyone and, of course, plenty of muddy puddles! Operated by global leisure giant Merlin under a licensing agreement with eOne, the owner of the Peppa Pig brand, Peppa Pig World of Play is set to open to the public in 2019. STAY TUNED FOR MORE INFO! Great Lakes Crossing Outlets is Michigan’s largest fully-enclosed outlet center with over 185 retail, dining and entertainment options. Easily accessible from the state’s busiest freeway (I-75), the center features over 25 retailers exclusive to the state and family-friendly attractions including LEGOLAND® Discovery Center Michigan, SEA LIFE Michigan Aquarium and Round 1 Bowling & Amusement. Guests can dine at Michigan’s largest food court, plus several full-service restaurants. We also love the play area…This “mall” truly has a ton for families to enjoy! Explore more at greatlakescrossingoutlets.com, or follow on Facebook, Instagram and snapchat at @glcoutlets. Who else is super excited for this attraction for littles? Sounds like a blast!